Providing a modern take of tennis shoe meets espadrille, the Classic Boot in Forest Green has a higher profile like that of a Chukka boot. 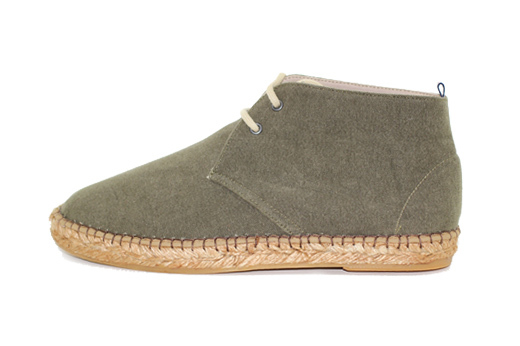 In a neutral green hue, these men's espadrilles are durable and comfortable. Handmade in Spain, Laro espadrilles have traditional braided jute lining and vulcanized rubber soles.